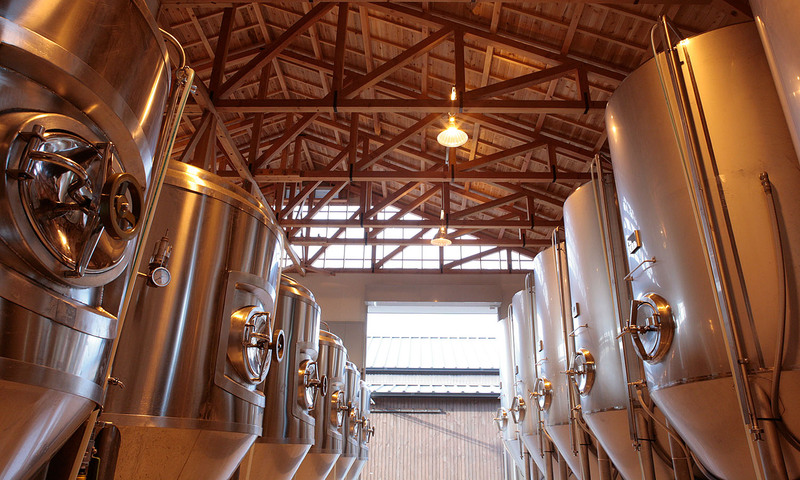 Originally a sake producer, Kiuchi – located in Naka, one-and-a-half hours by train from Tokyo – expanded production in 1996 and now creates Hitachino Nest beers using many of the techniques developed during almost 200 years of making rice wine. Join the head brewer on a tour of the ultra-modern facilities, from brew house to bottling line, and take a taste straight from the tank. You’ll also get to check out the historic sake brewery, operational since 1823. It all finishes with a tasting of both beer and sake. Kanpai! Crafting your own beer, complete with labels designed by you! From Tokyo, hop on an express train from Ueno Station to Mito Station. Once at Mito Station, board the Suigun line to Hitachi-Kounosu Station. From here, Kiuchi Brewery is a 10-minute walk. Kiuchi Brewery also has a Brew on Premises event where visitors can make their own original beer, from ingredient selection to fermentation. Brewing takes between three to four hours, and your newly concocted beer will be delivered to you anywhere in Japan, free of charge, within three weeks. Brewing 15 litres of beer costs about USD$225. Bookings essential.